Prime Minister Peter O'Neill has today announced a minor cabinet reshuffle that will better position the National Government to take advantage of current and emerging development opportunities. United Resources Party leader William Duma has been appointed as Minister for Public Enterprise and State Investments. He takes over from Ben Micah who is now appointed as the Minister for Petroleum and Energy. 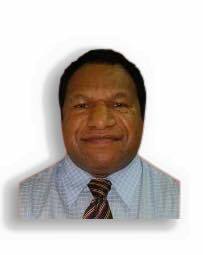 PM Peter O'Neill takes on responsibilities of Minister for Autonomous Region of Bougainville. Steven Kama, Minister Assisting Prime Minister on Constitutional Matters. The Prime Minister said minor changes to Cabinet positions are important in order to maintain administrative flexibility as the global and national economy evolves, and ensure ministerial skills and capabilities are well targeted.